Scottish software innovation company, Motion Software is bringing technology usually seen in the computer gaming industry to the inspection and compliance sector. The firm will demonstrate how virtual reality (VR) can be used to deliver significant benefits to companies which use lifting equipment across various industries, including oil and gas, renewables, construction, transport, farming and food and drink, when it exhibits at the LiftEx 2016 exhibition and conference, in Aberdeen, tomorrow. 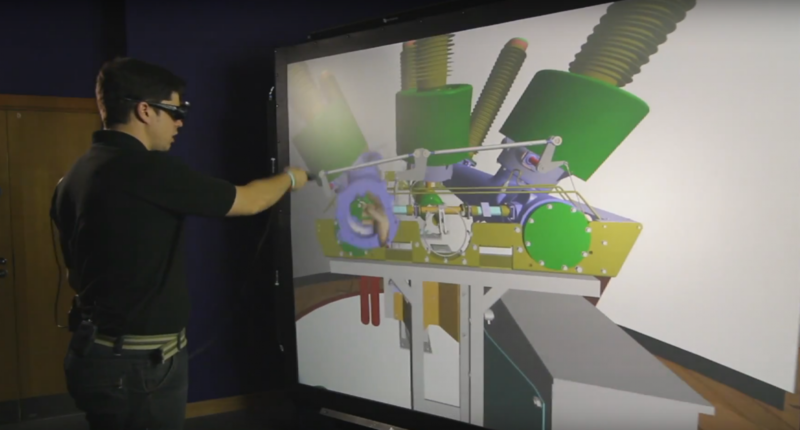 Visitors to their stand will be able to experience first-hand how VR can be used to explore the composite parts of a crane with the ability to see it from all angles, remove, inspect and replace parts. Managing Director, Stephen Burt, believes the potential for virtual reality in the lifting sector should not be underestimated - helping improve competencies, increase operational efficiencies and reduce risk. He is now looking to further integrate the technology into their existing Kinetic Enterprise software. He said: “We’ve seen how new technology is transforming the inspection and compliance sector. In an industry where there can be no room for error, a digital approach is driving up standards and reducing the time from inspection to report. Motion Software’s Kinetic Enterprise software significantly streamlines the entire inspection and compliance process, transitioning companies from a paper-based approach to a fully digital, cloud-based solution. The technology is used by more than 6,000 inspectors around the world. The company will be showcasing both the VR pod and its Kinetic Enterprise software on stand 86 at LiftEx 2016, which takes place at the Aberdeen Exhibition and Conference Centre, tomorrow, 23 November and Thursday, 24 November. The exhibition and conference is organised by Lifting Equipment and Engineers Association (LEEA).